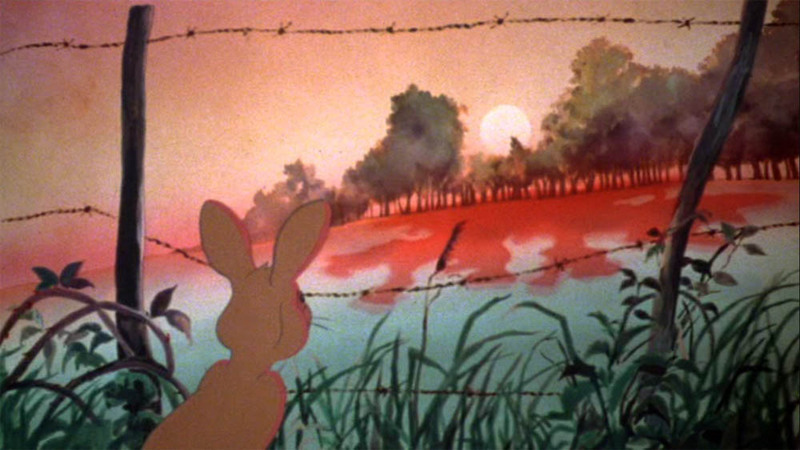 Watership Down began as a tale told by Richard Adams to his daughters on car trips. The girls insisted that he write down the epic rabbit tale. In 1972, the novel was released by a small British publisher, Rex Collings, who couldn’t pay an advance but did get the novel out for review. A second edition was released in 1973, with an American edition coming out in 1974. The story itself is about an epic journey of rabbits escaping their doomed home to found a new warren. Adams kept the narrative at the rabbits’ level, not explaining anything that the rabbits wouldn’t be able to understand. He even created a vocabulary and a creation myth for his rabbits. The locations in the novel came from the trips with his daughters and still exist. 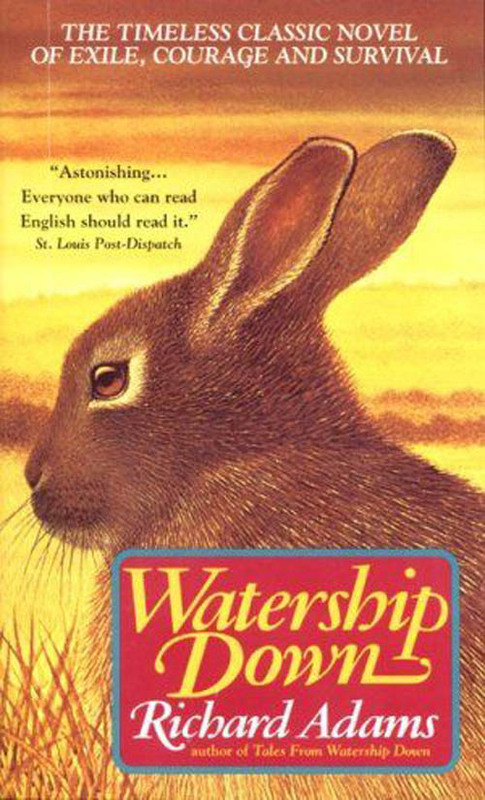 The title itself comes from the actual Watership Down in the UK. The popularity of the book led Martin Rosen to try to adapt the work as a film. Early proposals included the use of puppets for the rabbits, but Rosen wanted to remain faithful. The result, he wound up not being just the writer, but the director and producer of the film, with no experience as either, working on an animated feature. The movie starts with the rabbits’ creation myth. Frith, the creator and sun god, created the sky, the stars, the world, and the world’s inhabitants. The first rabbit, El-ahrairah, and his descendants started to out-graze the other creations. Frith tried to warn El-ahrairah, but the first rabbit would not listen. Frith gave the other animals gifts, turning some into cats, dogs, hawks, and weasels who would prey on the rabbits. El-ahrairah ran and hid, but Frith found him and presented his gifts to the first rabbit – speed, listening, and cunning. El-ahrairah became a trickster. The animation of the myth is reminiscent of the art of ancient civilizations. The art style changes to a more traditional look, though still rich, as the story starts. Two rabbits, Hazel and his brother Fiver*, are out eating and talking. Fiver, the runt of his litter, is nervous, moreso than most rabbits. He is psychic, a seer, though he can’t always understand the meaning of his visions. What he has seen is a blood red soaking into the warren, dooming the rabbits living there. The animation for Fiver’s visions is done in another style, powerful, overwhelming, and foreboding. Fiver tells his brother, who believes him. Hazel tries to tell the Chief Rabbit about the oncoming doom. The Chief Rabbit dismisses the brothers; it is May, mating season, and moving the entire warren would be a huge upheaval over something the little rabbit is vague about. Hazel, though, believes his brother. He organizes a number of other rabbits to leave the warren. The Chief Rabbit’s Owsla, the warren’s defense force, tries to stop the escape. One of the Owsla, Captain Holly, appears in front of Hazel’s band to take them into custody. A former Owsla officer, Bigwig, interferes, attacking Holly. Outnumbered, Holly runs off to get reinforcements. Hazel takes the opportunity to escape with his small band. Not every rabbit who tried to escape did, but Hazel has a core group, including Bigwig, Blackberry, Violet, the kit Pipkin, Silver, and Dandelion. As they leave, a sign that the rabbits can’t understand but the audience can shows that the area will be developed. The rabbits run into the woods, avoiding a badger. Several obstacles are in their way, including a collie loose in the woods and a river that needs to be crossed. Bigwig suggests that the rabbits who can’t swim remain behind to fend for themselves but Hazel refuses to leave anyone behind. Blackberry finds a plank of wood that Pipkin and Fiver can sit on, with other rabbits pushing with their noses to get them across the river. The journey is long and restless. Hazel presses the small band to keep going, trying to get distance between them and their doomed warren. Danger is always lurking; Violet gets nabbed by a hawk to never be seen again. Some of the rabbits start calling Hazel “Hazel-rah”, or “Chief Hazel”, though to tease. Hazel, though, is the leader of the band. 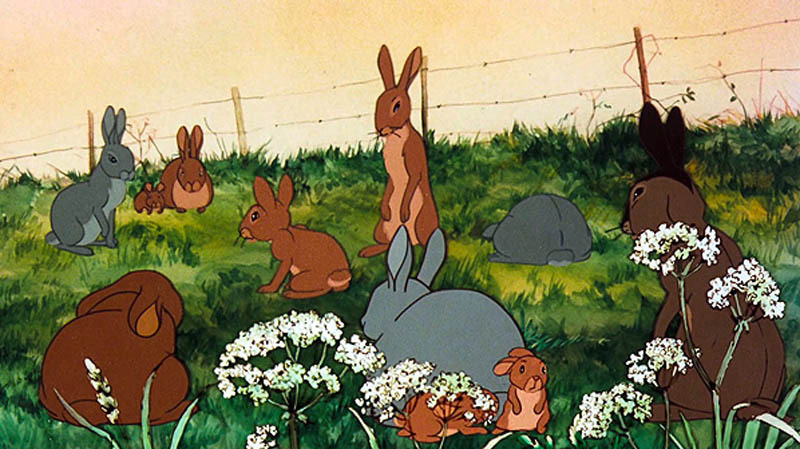 A potential sanctuary is found when the band meets with Cowslip, who offers the rabbits an empty burrow in his warren. The warren feels empty to the travellers and Fiver has a bad feeling about the place, like there’s a deception that he can’t quite pierce. Some of the rabbits note that the warren smells like man and press Cowslip for an explanation. Cowslip is evasive, but does offer flayrah (carrots) to the newcomers. His fellows, though, avoid talking to Hazel’s band. Fiver, overcome with nerves, runs away. Hazel follows to find out why, as does Bigwig. The former-Owsla is tired of the predictions of death and doom, and heads off to tell the other rabbits. He never makes it back. Bigwig gets caught in a snare. His fellows work to dig the peg holding the snare out, but it’s almost too late. Figuring out that Cowslip is using them to find and trip snares, the band leaves. Fiver has another vision, this time of the new home. It is high atop a hill, where there are no men and no predators, where they can see anything approaching. The journey continues, but now with a goal. The band passes through a farm**. While the other rabbits rest, Hazel takes Pipkin to explore. They avoid the guard dog, remaining quiet as it sleeps. In the barn, they find a hutch filled with rabbits. Hazel talks with one of the hutch rabbits, a doe named Clover, but Pipkin spots a cat. The rabbits run, causing the cat to give chase and the dog to bark, and escape. The journey continues. As they pass through a farmer’s field, Bigwig hears a voice calling his name. Fearing it is the Black Rabbit***, Bigwig cowers behind the others but knows that if the Black Rabbit calls, he must follow. However, it is Holly, wounded and exhausted, the sole survivor of the old warren. The former Owsla captain utters a single word, “Efrafrans” before collapsing unconscious. When he recovers, he tells the others what happened; men came with machines, filling in the burrows, trapping rabbits underground. 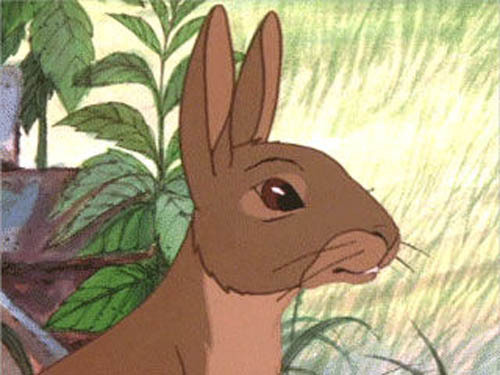 In another warren, a young doe named Hyzenthlay tries to point out to her Chief Rabbit, General Woundwort, that the conditions are overcrowded. There are too many rabbits in the warren. The rabbits can only go out at certain times, based on a mark placed on them. Woundwart refuses and, once the young doe is out of earshot, orders Captain Campion, the head of the warren’s Owsla, to keep an eye on her. Back in Hazel’s band, Fiver finds the hill he saw in his vision, Watership Down. The band climbs up the hill where they find a tree providing space for new burrows. The band settles in. During this time, they discover that they have a neighbour. A seagull, Kehaar, has been injured by a cat and needs to heal. 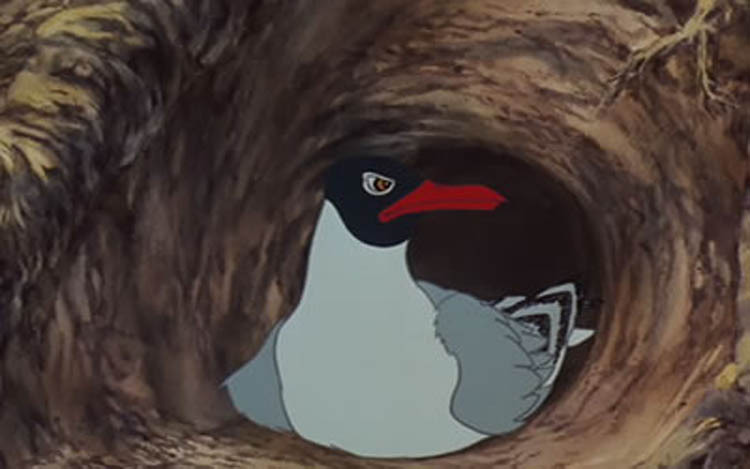 The gull and the rabbits overcome a language barrier, and Kehaar is nursed back to health. Hazel discovers a new problem. While his fellow rabbits are safe, the warren is still doomed. Not one doe came with them. Even Kehaar notices the problem. Hazel convinces the gull to look for does, though he makes sure that Kehaar belives that it was his idea. The gull, his wings now healed, flies off in search. When he doesn’t return, the rabbits assume that he’s gone back to the “big water” he calls home. Hazel has a second plan, though. Remembering Clover back at the farm, Hazel takes a few rabbits with him to break her and her hutchmates out. Eating through the hutch’s latches takes too long and the rabbits are discovered by both the cat and the dog. The dog sends up the alarm, getting the farmers out of bed. The men see the hutch open and the wild rabbits and shoot. Hazel is hit. The other rabbits return to the warren to give Fiver the bad news. Fiver, though, has another vision telling him that Hazel survived. He follows his vision back down to the farm and finds his brother in a culvert. Kehaar returns, finding the psychic rabbit, and explains about the “little black stones” (shotgun pellets) in Hiver’s haunch. The gull removes the black stones, letting the rabbit brothers return to their warren. Back at the warren, Kehaar tells Hazel about Efrafa, General Woundwart’s warren. Holly adds to the information, telling Hazel about the General’s tyrannical rule. As he recovers, Hazel comes up with a plan. Once healed, Hazel leads a raiding party, heading to Efrafa. Bigwig is sent to infiltrate the warren and gets appointed to Woundwart’s Owsla. While in Efrafa, Bigwig talks to several rabbits unhappy with the warren. One, Blackavar, was caught outside when he wasn’t supposed to and had his ears ripped before being set as an example to others. Bigwig also finds Hyzenthlay; he tries to convince the doe to leave with him. Hyzenthlay, like Fiver, is a seer, and sees the truth in what Bigwig tells her. Outside, Hazel prepares for the great escape. He needs to get the rabbits past the iron bridge (a railway overpass) and down the river. Hazel finds a boat and remembers how the wood plank got Fiver and Pipkin across. He sends Kehaar to Bigwig to finalize the plans. Bigwig arranges the escape for sunset. Woundwart, though, is informed of Bigwig’s conversation with the bird, but not of the context. Even so, the General is suspcious and has his Owsla keep tabs on the big rabbit. Sunset arrives. Bigwig leads a group of rabbits to the iron bridge, but Kehaar is nowhere to be found. Woundwart, with a wide patrol out to find the strangers, gives chase, catching up at the iron bridge. He and Bigwig fight. The clash is brief and ends when Kehaar swoops in at the General, giving Bigwig time to get the escaping rabbits away from the bridge and down towards the river. Hazel gets the escapees on the boat, but in the time it takes to chew through the rope holding it in place, Woundwart catches up. Bigwig delays the General long enough for the boat to get underway. Hazel’s band, now much larger with the escapees, has a short breather before Woundwart catches up again. He heads out to meet with the General to negotiate, but Woundwart’s terms – return the escapees or death – are non-negotiable. 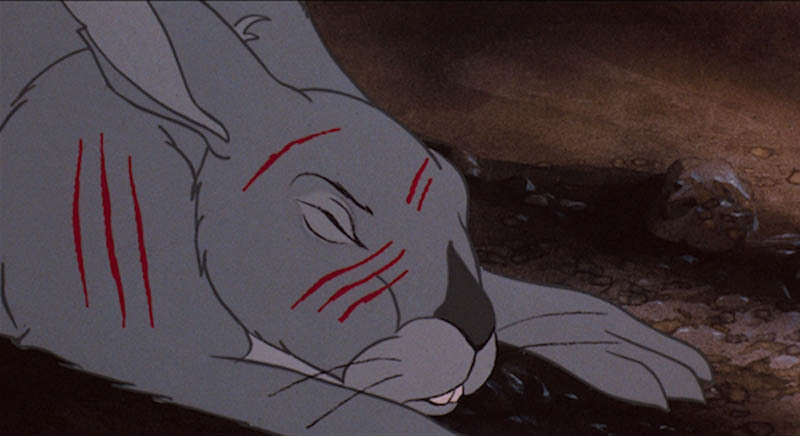 Woundwart also wants Bigwig, the rabbit who dared to betray him. Hazel returns to the warrent and orders the burrows’ entrances plugged. Woundwart’s soldiers begin digging. Fiver falls into another trance and starts moaning about a dog loose in the woods. Hazel remembers the collie at the beginning of the trip and has an idea. He takes three of the fastest runners back to the farm. With Hazel gone, the other rabbits hunker down, waiting for Woundwart’s soldiers to dig in. One of the entrances is re-opened, allowing the General inside. The twists and turns in the warren allow the defenders to attack from hiding, which is what Blackaver does to Woundwart. The General shows no mercy and kills the escapee before going deeper. He finds Pipkin and other kits and moves in. Bigwig emerges from the dirt and fights Woundwart for the third time. At the farm, Hazel chews through the rope acting as the dog’s leash. The first runner takes off, getting the dog to give chase. The runners are spaced out; as one rabbit tires, another can take over leading the dog back to the warren. However, Hazel gets attacked by the cat. The cat holds him under her claws, waiting to finish the rabbit. Fortunately, the cat’s owner arrives to scold her. The last runner, Hyzenthlay, arrives back at the warren, the dog still giving chase. She hides, but Woundwart’s soldiers are briefly surprised. One calls out a warning, but the dog kills the soldiers. Woundwart emerges from the warren, not believing that a dog could be dangerous. Seeing the dog, the general attacks. His body is never found and the General becomes a rabbit legend, a bogeyman to warn young kits. The movie ends with the lderly Chief Hazel in a field watching over his warren. The Black Rabbit calls, inviting Hazel to join his Owlsa. Hazel follows, leaving his body behind, knowing that his warren will be safe. As mentioned above, Martin Rosen wanted to adapt the book. His goal was to be as faithful as possible. However, the main challenge he faced was taking a 400+ page novel and condensing it into a 92 minute movie. Even animated, it isn’t possible to get the entire novel in. Rosen, though, managed to get to the core of the novel, the exodus from the doomed warren to Watership Down. He took pains to get details correct, even to the point of sending people to the locations in the novel to get photographs. The area hasn’t changed much since 1972 and even since 1978. The number of rabbits escaping the doomed warren was reduced, making it easier to keep track of which rabbit was which. 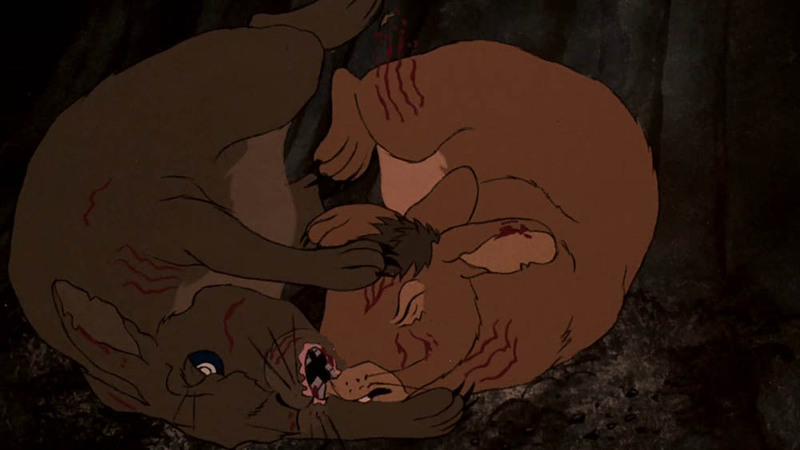 In the novel, two rabbits, Holly and Bluebell, survived the destruction of the original warren, while only Holly survived in the film. Minor changes aside, the core of the story remains. The story is still told from the rabbit’s eye view, and each character is recognizable – clever Hazel, nervous Fiver, and brave Bigwig. Rosen’s desire and effort to maintain the story comes through. 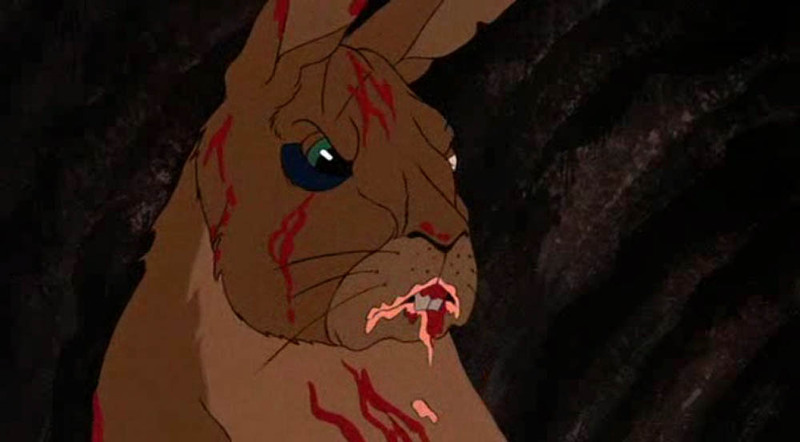 Watership Down is a good example of being able to get to the heart of a novel without losing anything in the translation to film. * The names both in the novel and in the movie are translated from Rabbit. The book goes into more details. Fiver gets his name because he was the fifth born, when rabbits can only count up to four; in rabbit, his name is “Little Thousand”. ** Nuthanger Farm, another real location. *** The god of the moon and darkness, seen as a death god by rabbits.